There are several types of fences someone can get for their home or business, and each type serves a different purpose. 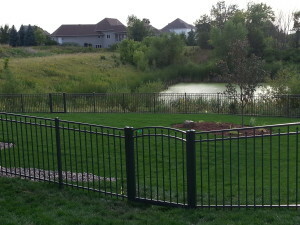 From natural beauty to security and privacy, Dakota Unlimited offers their customers a type of fence that meets every point on their checklist. You are on a tight budget. Chain link fences are a low-cost option for customers. Low maintenance is a priority and your timeline is short. Chain link fences require an easy and quick installation compared to other types. Strength and sturdiness is important to you. Sometimes referred to as the “Hurricane Fence,” chain link fences can survive through strong winds and rain, guaranteeing a long life for your home or business. Your property is unique and calls for a custom design or shape. Chain link fences can even be created for your pool or garden giving you various height options. Security and reliability are required. Areas where this might be important include; around airports, highways, baseball fields and tennis courts where the fence can provide the protection you need but also a clean look around the area. Natural beauty is important. 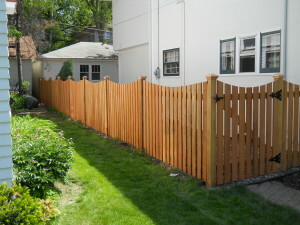 Wood fences are an aesthetically pleasing choice whether it is a privacy or picket wood fence. 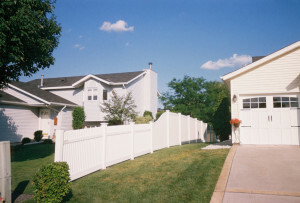 Privacy fences offer a standard barrier among your property and your neighbors. 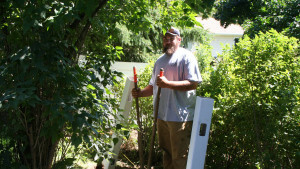 Privacy, like the name suggests, gives you security for your yard or business and blocks out all outside noise. Picket fences offer an appealing intricate look to your yard without blocking out the noise and views, keeping you in with all the action in your neighborhood. Maintenance doesn’t scare you away. Choosing to paint or stain your fence will take some work on your part but many agree the overall beauty and privacy is well worth the work. You are looking for something unique. 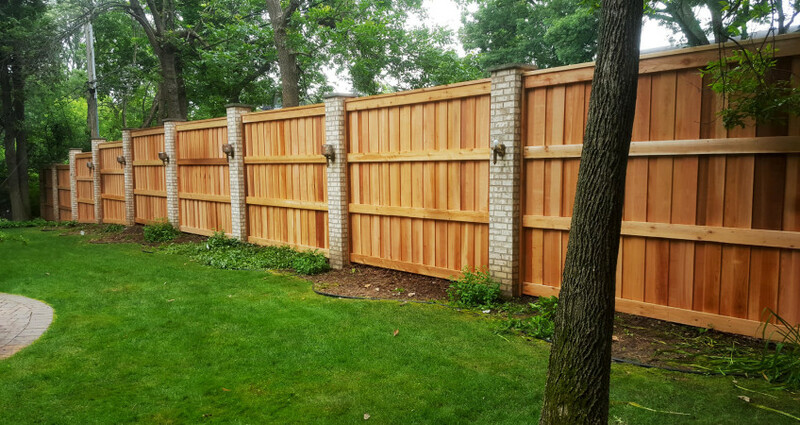 Wood fences offer a variety of different styles adding character to fit every home. Making time for maintenance can’t make the top of your list. Vinyl fences are easy to install, easy to clean and are ideal for homeowners who do not have the time or interest in caring for their fence from time to time. Strength and weather resistance is a key component of your fence needs. You want a fence that gives you a wide array of design and color options, perhaps because you are interested in matching the fence to your home or business. The property contains a swimming pool or other bodies of water. Aluminum fences will not rot, rust or fade, making it an ideal fence for around swimming pools or other bodies of water. You have a property with uneven or sloppy ground. Due to its adaptable design, aluminum fences are more easily installed on uneven ground. 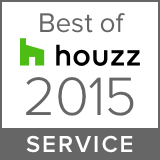 Complimenting architectural styles is a must for you. The adaptability of aluminum fences continues further when designed to match your preferred style. Elegance, class and charm are what your property calls for. With the ability to custom design a piece to fit your yard, Wrought Iron fences are designed to increase the value of your property. You are looking for something of high security. Wrought Iron fences can be built with sharp caps, making it hard for others to climb over. Unique is all you know. 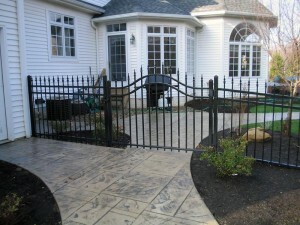 Since wrought iron fences are made to order, they can be as unique as your home or business. Your creative juices and construction capabilities are top notch and meant to be used. You have a small project and are looking to save on cost.